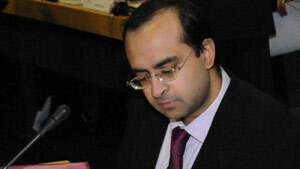 Sajjan Gohel is International Security Director for the London-based Asia-Pacific Foundation. Pakistani military sees Afghanistan in terms of its "strategic depth"
Of all the issues on the agenda when British Prime Minister David Cameron hosted Pakistani President Asif Ali Zardari last week, none were more important than talks on cooperation between the two countries in countering terrorism and extremism. The meeting attracted extra significance following Cameron's candid remarks during a trip to India a week earlier in which he warned: "We cannot tolerate in any sense the idea that (Pakistan) is allowed to look both ways and is able in any way to promote the export of terror, whether to India or whether to Afghanistan, or anywhere else in the world." Prompting fury in Pakistan and criticism for his candor back in the UK, Cameron became the first western leader to formally identify the "elephant in the room;" namely that elements in Pakistan have, since 2001, been covertly supporting the Quetta Shura and Haqqani Network factions within the Taliban in their fight against ISAF and Afghan troops in Afghanistan. Cameron's comments do not form an original starting point but, in fact, are part of a gradual evolution of thought in the west that the problems in Afghanistan, India, as well as the potential global impact, are intrinsically tied to the security challenge in Pakistan. Cameron's predecessor, Gordon Brown, once described Pakistan as the "Crucible of Terrorism," and U.S. Secretary of State Hillary Clinton has also expressed concern about the presence of al Qaeda in Pakistan. Most criticized has been Pakistan's powerful military intelligence agency, the Inter-Services Intelligence Directorate (ISI). Since 9/11, western intelligence agencies have become increasingly dependent on the ISI and the Pakistani military for information in the fight to dismantle terrorist and militant strongholds in the region. What remains clear is that Pakistan serves as a gateway and finishing school for many British terrorists. Paradoxically, the Pakistani military stands accused of supporting and assisting these same extremist forces. This was highlighted in a 2010 report by the London School of Economics which claimed that Pakistan "appears to be playing a double game of astonishing magnitude" in Afghanistan. The WikiLeaks documents, released last month, also illustrated a continued relationship between the ISI and the Taliban. The thread that connects both the LSE report and the WikiLeaks documents is that Afghan Taliban factions are using safe havens within Pakistan to launch cross-border attacks in Afghanistan. Cameron's concerns about Pakistan can therefore be seen in the context of the deaths of more than 320 British military personnel in Afghanistan since 2001, a higher death toll than that endured by the UK during the 1982 Falklands War with Argentina. Many more have suffered terrible life-changing injuries. Western governments have known for some time that the Pakistani military did not break its ties with all the different Taliban factions, as former Pakistani leader General Pervez Musharraf promised to do. Since Musharraf stepped down in 2008, the military has continued to exercise an overbearing influence over Pakistan's defense and foreign policy agendas. Pakistani officials point out that more than 2,700 soldiers have been killed in fighting the Pakistani Taliban since 2001, exceeding the total casualties suffered by the ISAF in Afghanistan. But those figures do not tell the whole story; while Pakistani forces have been battling indigenous Taliban factions, they have not attempted to disrupt Afghan Taliban forces operating from inside Pakistani territory. Worryingly for the U.S. and its NATO and Afghan allies, one of Pakistan's most senior soldiers, chief of army staff General Ashfaq Kayani, remains rooted to the old military concept of utilizing Afghan territory for the purposes of "strategic depth" in the event of a conflict with India. From this perspective, the Pakistani military views the Afghan Taliban as a potential asset rather than as a liability. Writing in Toronto's Globe & Mail newspaper, Chris Alexander, Canada's former ambassador in Afghanistan, states that Kayani "once again successfully deflected U.S. pressure to launch military operations in Baluchistan and North Waziristan, where the Islamic Emirate [Afghan Taliban] is based." In addition to the issue of the Taliban, the continued and expanding presence inside Pakistan of al Qaeda and its affiliates, such as Lashkar-e-Tayyiba which carried out the 2008 Mumbai attacks in which 170 died, remains a sore point between London and Islamabad. Between 2004 to 2006, al-Qaeda planned a series of coordinated attacks on British soil. Some were disrupted by intelligence and law enforcement agencies, but the 2005 bombings on the London transport network killed 52 people. Common to all of these plots was al Qaeda's recruitment of British citizens mostly of Pakistani origin. Some had traveled to Pakistan for operational training and ideological guidance. With some 400,000 yearly visits to the country by Britons of Pakistani origin, it is becoming increasingly difficult for British authorities to identify potential radicals from the majority who are traveling legitimately to visit family. What remains clear is that Pakistan serves as a gateway and finishing school for many British terrorists. Intelligence cooperation between the UK and Pakistan is, therefore, essential, however problematic that may be. Speaking together after their talks, Cameron and Zardari stated their desire to work towards boosting ties between the UK and Pakistan. According to Cameron: "Whether it is keeping troops safe in Afghanistan or keeping people safe on the streets of Britain, we are going to work together in this enhanced strategic partnership." Time will tell if the "strategic partnership" will bear any positive results. In the meantime, the terrorist infrastructure in Pakistan will continue to act as a recruiting ground for young Britons and other westerners attracted by extremism. At the same time, Afghan and Pakistan Taliban factions will maintain their ability to plan large-scale attacks throughout the AfPak region. Therefore, the remedy for the security dilemma can only lie within Pakistan itself. The opinions expressed in this commentary are solely those of Sajjan Gohel.